“The LEGO Group today announced that it will close LEGO Universe, an MMOG (massively-multiplayer online game) that has been in operation since the autumn of 2010 In spite of very positive player feedback and a large number of players in the free play zone, it has not been possible to convert a satisfactory number of players to paying subscribers. It has therefore been decided to close the game as of January 31, 2012. Years later, in 2015, the next attempt at a LEGO MMO, LEGO Minifigures Online, would be released. It too was shut down just over a year later in September of 2016. “Answer The Call – Save Imagination! 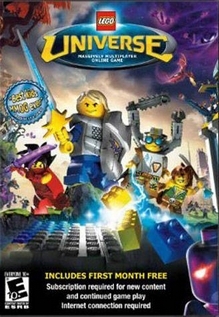 Become the hero in this massively multiplayer online game and join thousands of other LEGO fans in an epic adventure to rid the universe of chaos and save Imagination. Only a courageous team of heroes, the Nexus Force, stand in the way of the destructive Maelstrom… but they need your help!